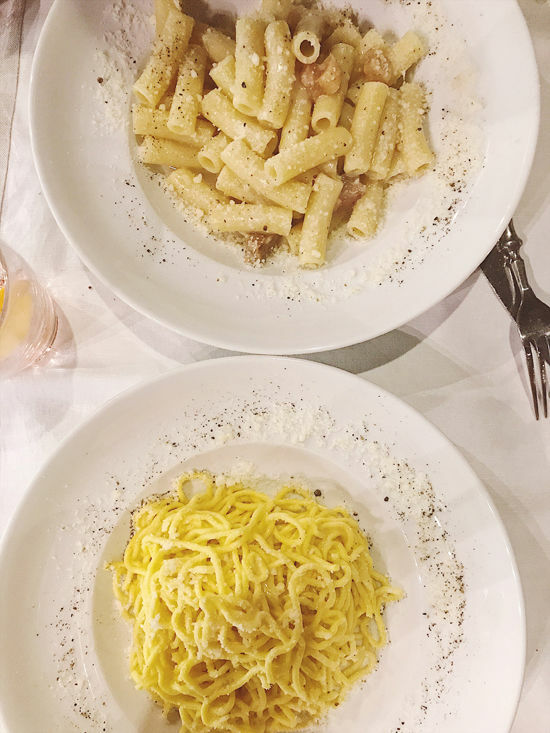 1. was one of our top favorite meals in rome. 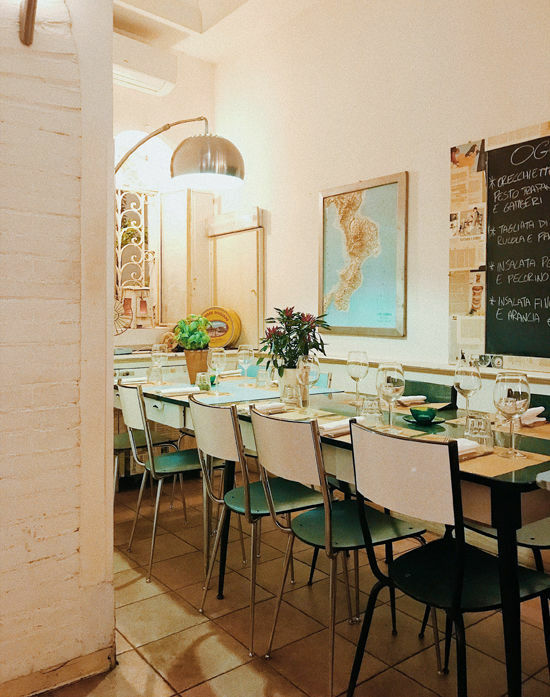 make a reservation at la salumeria (it’s busy!) and order la gricia pasta and the burrata with sun dried cherry tomatoes. the cheese and meat plates are also insanely good. 2. is an awesome little bakery in a popular square. grab a few slices (wish i could try them all! my favorite was the ham) and a beer and enjoy on the street while people watching. cheap price and amazing taste. 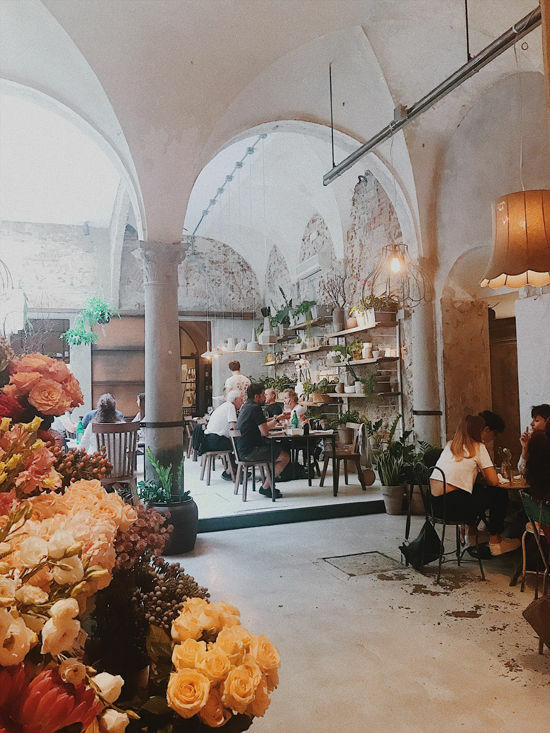 3. is a cozy little restaurant with eclectic decor and good food. i also really enjoyed walking around that neighborhood. please get the squash pie with melted fontina. so unique! 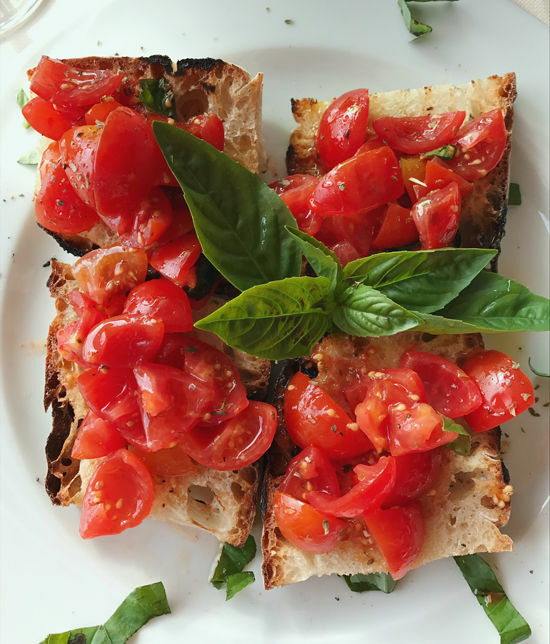 4. . i can’t really speak for all of the food because we just got a snack but i was VERY into my fresh bruschetta. have a spritz and this snack with a great view. we also ate at chez black (not bad) and the three sisters restaurant next to it. i just don’t love the touristy vibe at them but the food was pretty good. 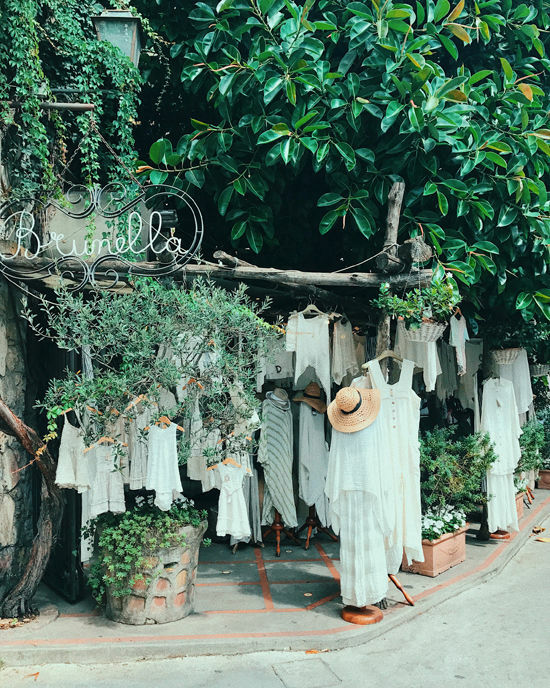 5. . there were two of these store locations in positano (the bigger one has an insane selection) i had so much fun browsing through all of the gorgeous linen jumpsuits, pants, dresses. i pretty much wore the three things i got over and over on the trip. definitely go! 6. . we didn’t stay here because $$$$$ but it’s amazing for a glass of wine or cocktail on the patio. and the hotel def has gorgeous design details! later that night we had quite a few moscow mules at their bar next door, ! it’s got a fun lively energy. 7. i am pretty bummed we didn’t get to go here. 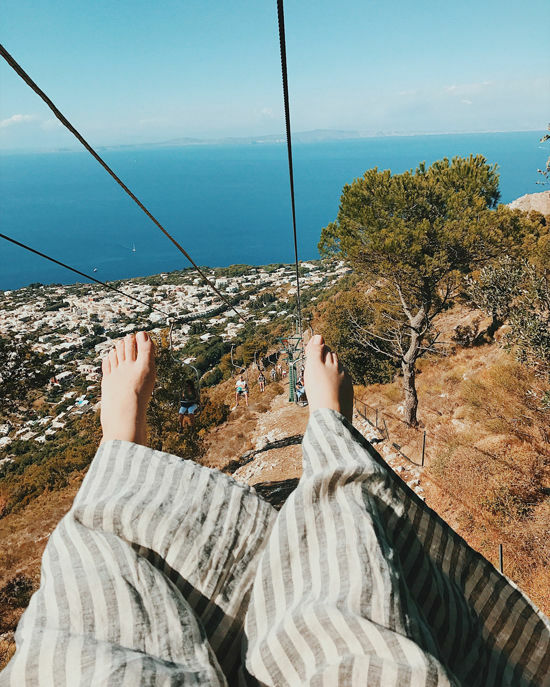 we were only in positano two days and i couldn’t reach them to make a reservation. soooo many people told me to spend the day swimming and eating and laying out here. i would definitely call and grab the boat over there for the afternoon. i’ll pretend i went with you. we took a ferry from the main positano dock to capri. i think it was around 18 euro each and it was just under an hour to get there. we actually had a great time on that boat! 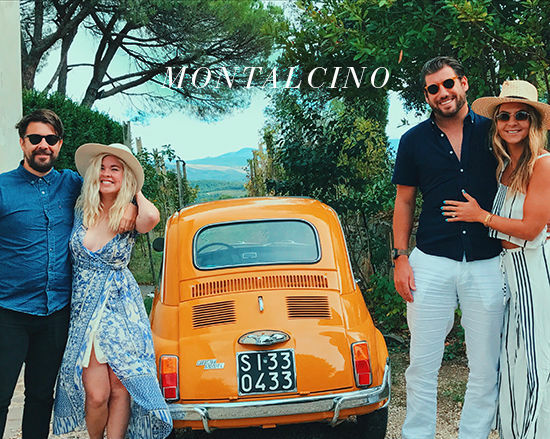 8. vintage fiat limo to anacapri. we were sadly kinda fighting on and off in positano. i think we were just exhausted and jetlagged and then the touristy/expensive vibe just threw us off. but once our boat got to capri it felt like a weight was lifted for us. we got off and there was a vintage fiat limo waiting there (definitely toursity to take it, but who cares sometimes, it’s fun!) he took us for 25 euros to the other side of the island, anacapri. the car was so cute, the weather and the views were incredible, it was a whole different vibe. we loved it! ps. capri is pretty touristy still, but the little alleyways are still very charming. 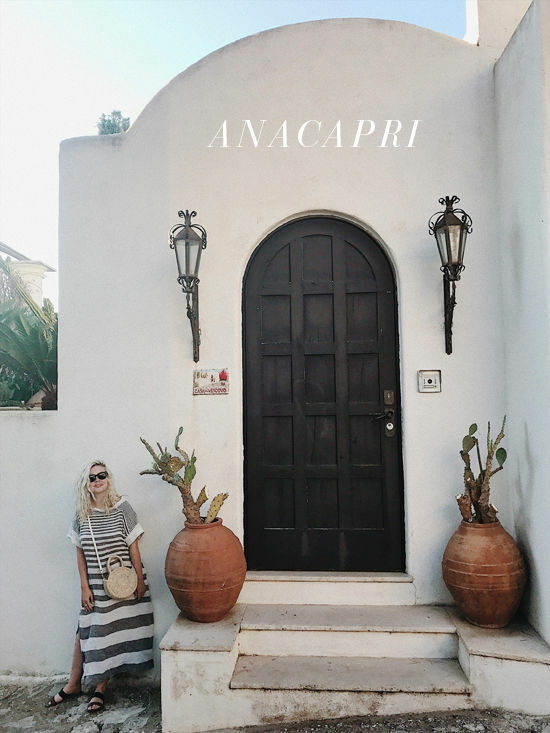 anacapri is muuuuch more chill and laid back. it depends on the vibe you’re going for. i would recommend doing both! the bus back and forth is really easy to jump on and it takes only 15-20 mins to get to the other side and feels like a fun adventure. take the limo once and the bus the rest of the time if you go around. or rent a scooter! that seemed like fun. pps. we didn’t get to do the blue grotto because of the rain, and didn’t rent a boat because it’s a lot of money for just two people. but in a bigger group i would definitely do that. 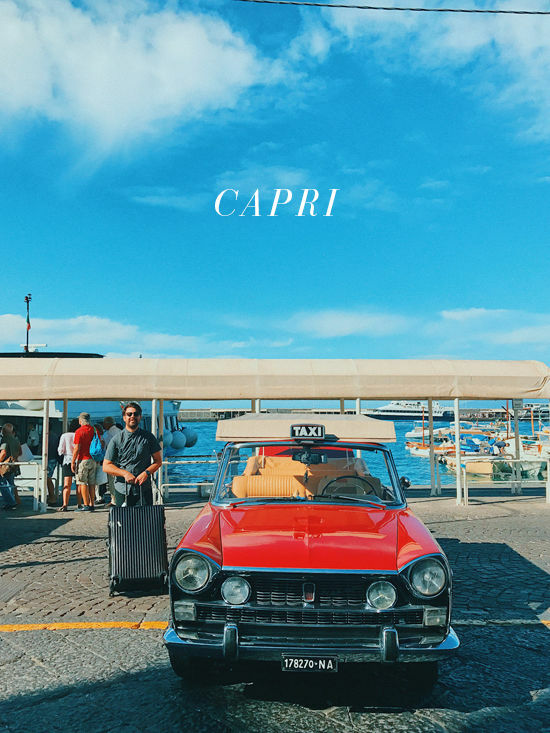 9. in capri. get the gelato here, it was awesome. it’s popular for a reason. 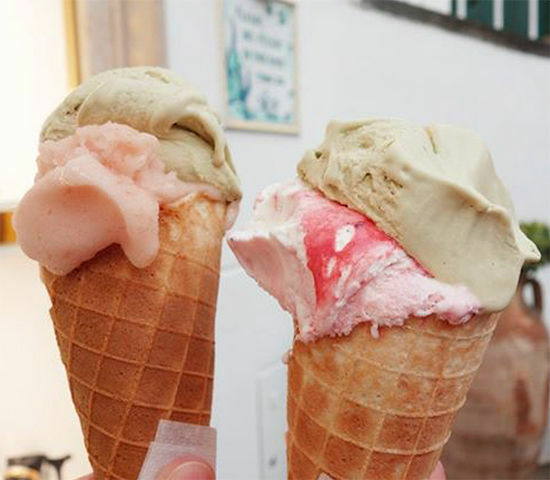 those homemade cones are SO yum. the pastries inside are also very worth it. like i said, the buses are super easy to jump on and very cheap. they feel like little trolleys! 10. – our favorite meal, maybe of the whole trip. that’s a lot of pressure to say that but everything just went right that night. the truffle mushroom risotto was out of this world. 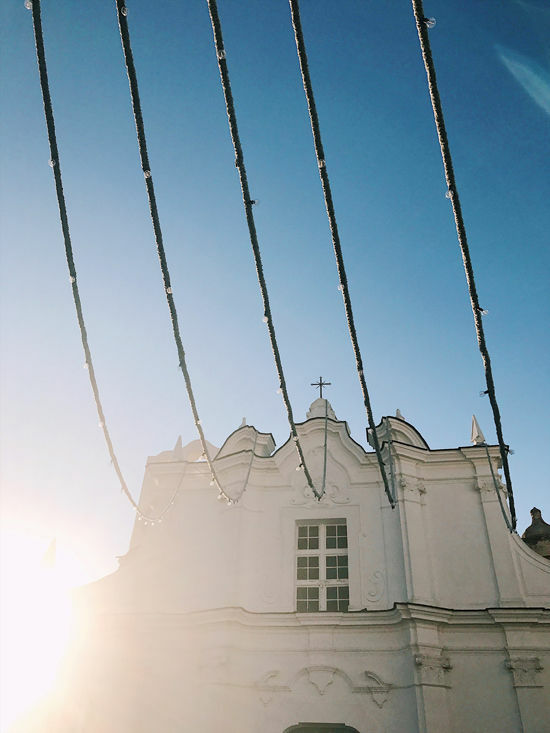 it’s a small and romantic spot next to this lovely white church. the wine, the caprese, the prosciutto and melon. please go there! ps. 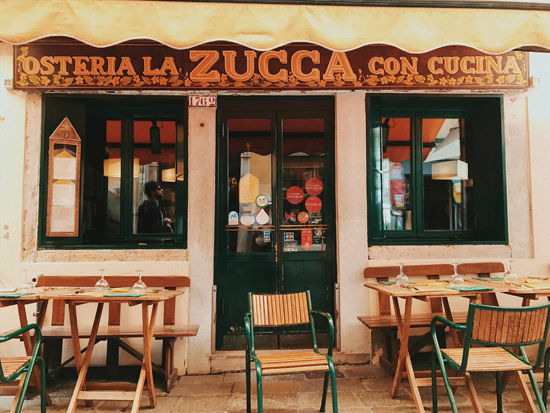 capri is known for their mozzarella, so order it all the time! you won’t be sorry. 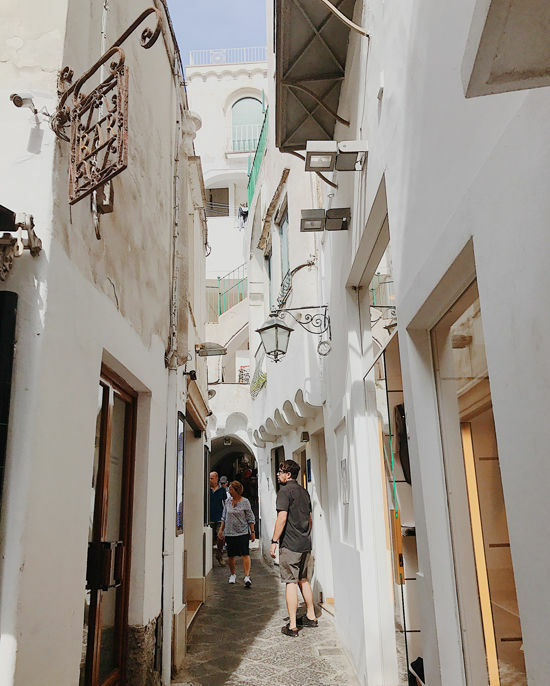 12. . it’s really nice to just roam around the little streets of anacapri. there’s no cars on a lot of the roads, and it sort of feels like greece with all of it’s white buildings and flowers. this red building stands out on your walk. it’s like 3 euros to get in and is pretty interesting to stroll through. it’s not a must, but if you walk by definitely pop in. i enjoyed the colors and details in there. so if you don’t decide to randomly go to amsterdam, then just take the ferry (which is really nice and kinda fun) to naples, a cab to the train station about 15 mins away, and then take a train to florence. easy. NOW, about florence. when you’re traveling you are going to have cities that steal your heart and cities that are just good. florence for me was pretty fancy/touristy. we stayed on the other side of the river (near ) which helped a lot…but it still just wasn’t my favorite. sorry florence!! happy to have seen it though and actually had one of our favorite meals of the trip there. 13. is one of the most intricate, gorgeous buildings i’ve ever seen. i’m not big on doing a bunch of history tours with lines and groups, we just spotted this place walking by. this place is worth checking out!! 14. this (i’m a big fan of the brand) is so cool. pink velvet walls. inspiring dresses and shoes. it’s big and fun to walk through. 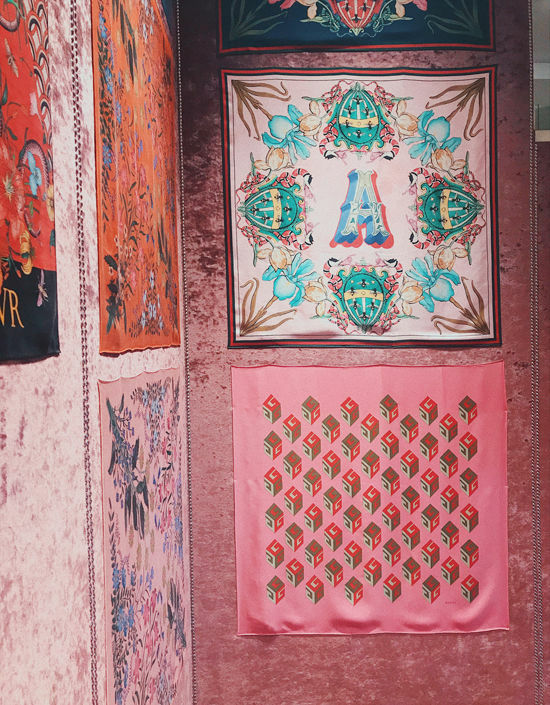 they also have a gucci museum in florence that i’m sad we missed. i wonder if it’s awesome? 15. was right down the street from . pretty awesome. i liked the meat pizza. 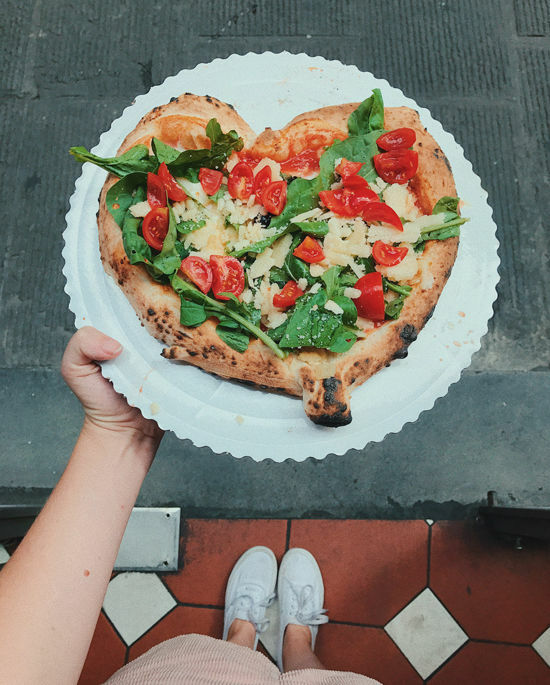 you can ask them to add buffalo mozzarella and make it into a heart too! i ate the whole thing haha. 16. was cool to wander through. we didn’t actually eat there because we were so full from some other pasta dish we probably ate, but we liked looking at all the different stands and truffles and oils! 17. . a little pricey but we had a wonderful lunch here. there’s a little cafe, a flower stand and a place to sit and eat in the back. pretty awesome space. try the gnocchi with green apple and have a glass of wine. 18. . WOW i love this restaurant. everything we ate was spot on. but definitely, and i mean definitely, order a steak! you can see them preparing the giant steaks in the window. book a reservation and don’t miss this place. or the gnocchi and tiramisu! 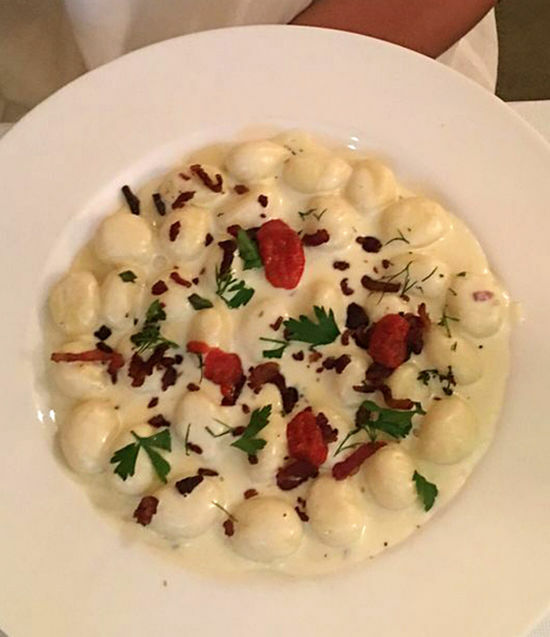 i know, a lot of gnocchi, but you gotta just go for it in italy, right? 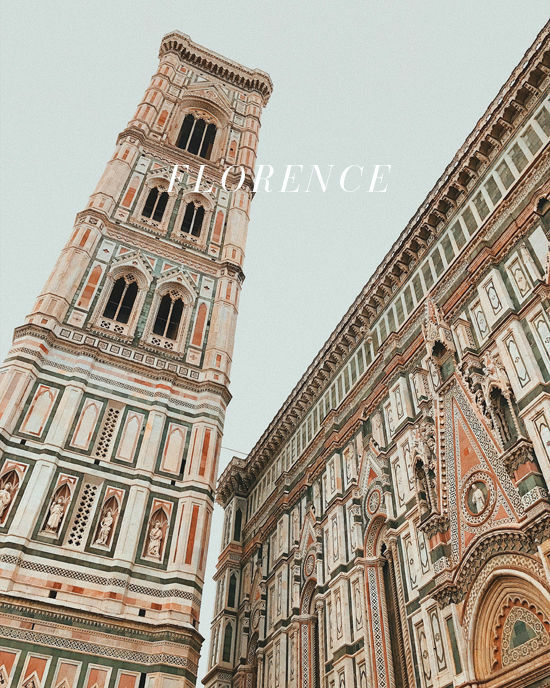 from florence, we rented a car from avis (sorry i like telling all the little details because it’s HARD planning a big trip and i just want to make it easy on ya) and decided to drive the rest of the trip until venice. so happy we did! it was such an awesome way to see the countryside, the little towns, the wineries. and costs about the same as trains + taxis etc. 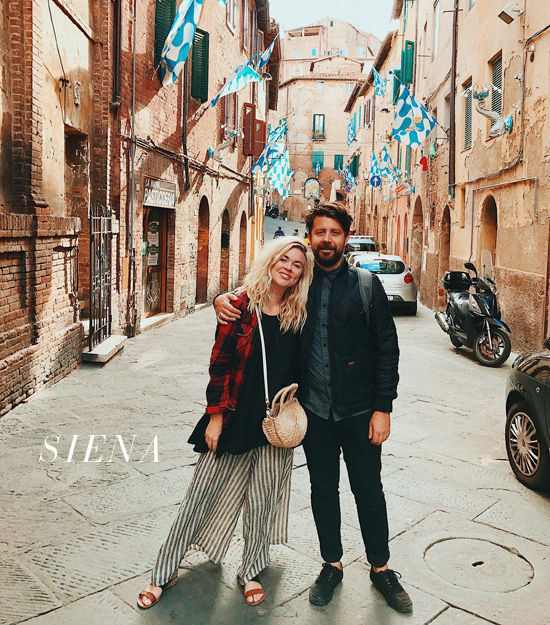 we drove about an hour and a half south to a lovely little town, siena. once you get out of florence it’s actually a pretty easy drive! the roundabouts can be kinda tricky (and cause some arguments) but you’ll get there. park and walk all around! it feels like a muuuuch cooler medieval times there. 19. . you can’t take any photos inside this charming little butcher shop. 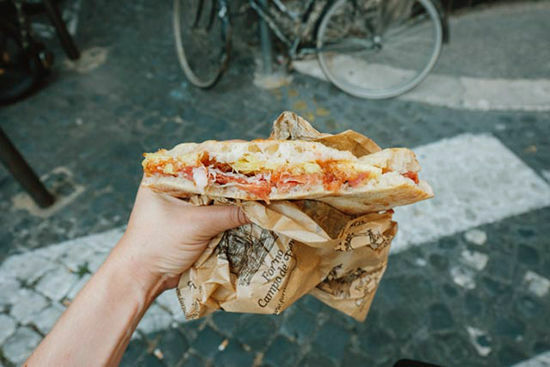 do yourself a favor and get a salami and cheese sandwich here on focaccia bread and be in heaven. when you walk through those red ropes you feel transported to another time! after a few hours in siena, we drove about 45 minutes to meet up with some friends who were on their honeymoon. 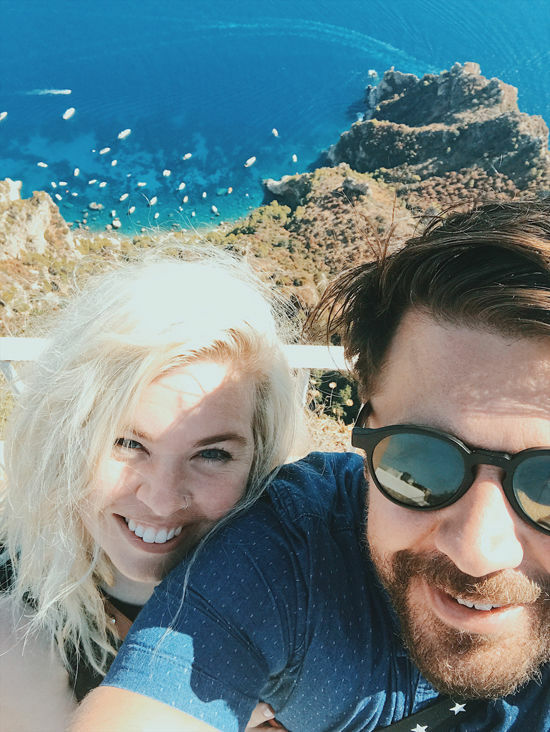 we were honeymoon crashers!! they invited us to stay with them two nights at and we had a lot of fun wine tasting and spritzing around town. the air feels so good there, it’s wild. i love looking at the rolling hills and pretty sunsets. you feel like you are in a storybook. 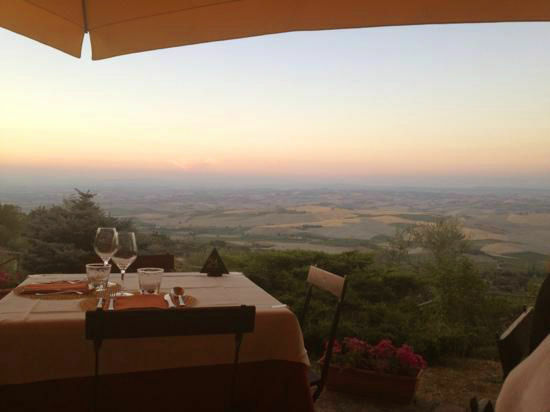 20. have lunch here, the view is just wow. and the food! the ricotta with herbs. the prawn carbonara pappardelle with coffee powder was out of this world. 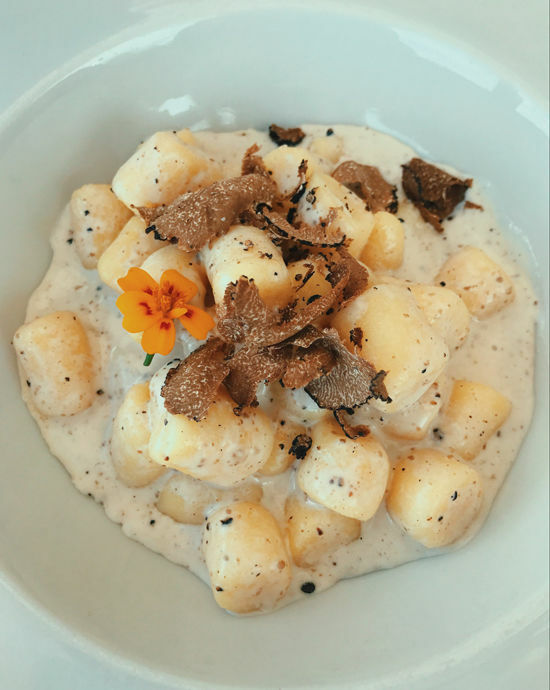 and again, the truffle gnocchi! 21. 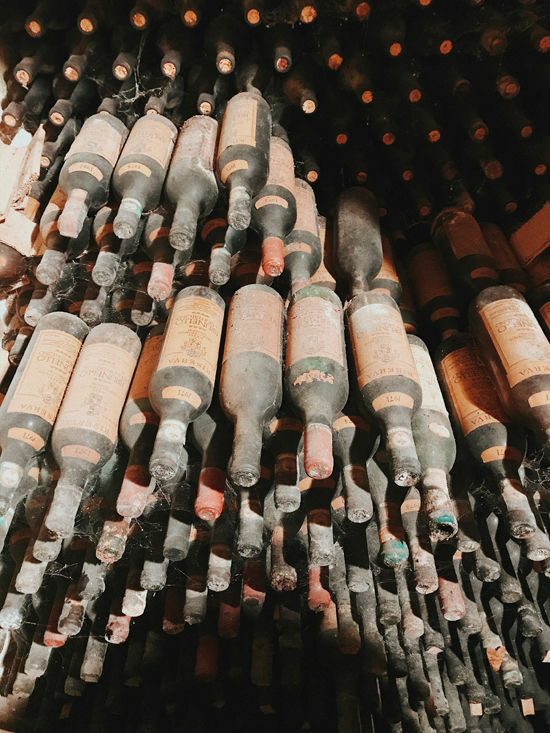 – we wine tasted a few spots around where we had lunch. we loved this spot especially. pick the grapes off the vine and be happy. then we drove all the way up to venice, about 4.5 hours. it was a very scenic drive and i suggest doing it. 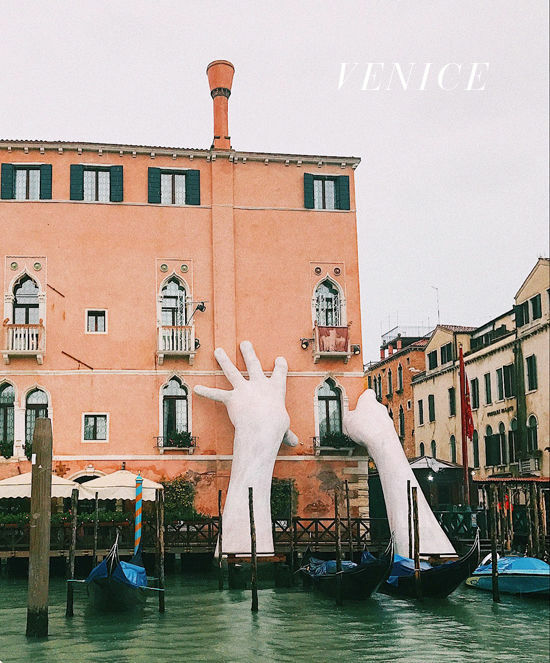 drop your car off at the airport, and take a boat to venice (or a bus + a boat. ask someone there) again, it all seems so overwhelming and unknown, but in reality it’s pretty easy. 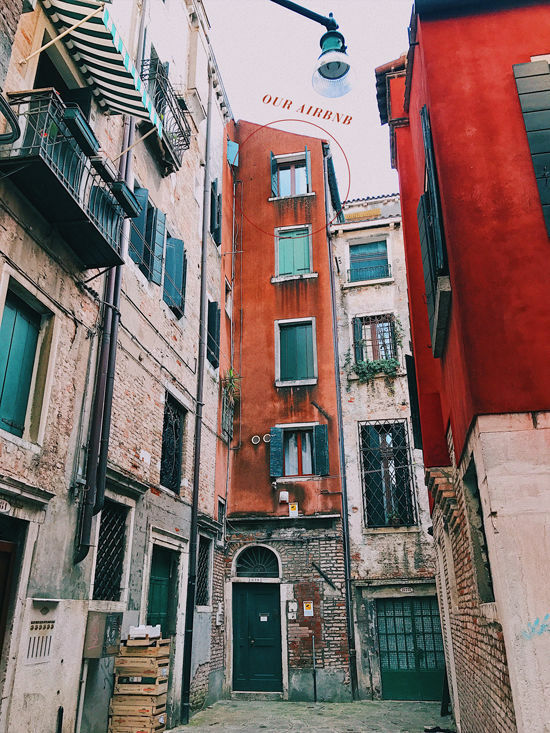 venice is incredible. best to go in september or october when it’s less touristy/hot…but even with the tourism it’s so incredible you just gotta go. mid september, it’s been the most perfect weather. 22. giant hands sculpture. so cool to see in person. read about them and their meaning . 23. . my favorite museum. it’s in her house, and all cool art you wanna see. please go here, it’s so special. 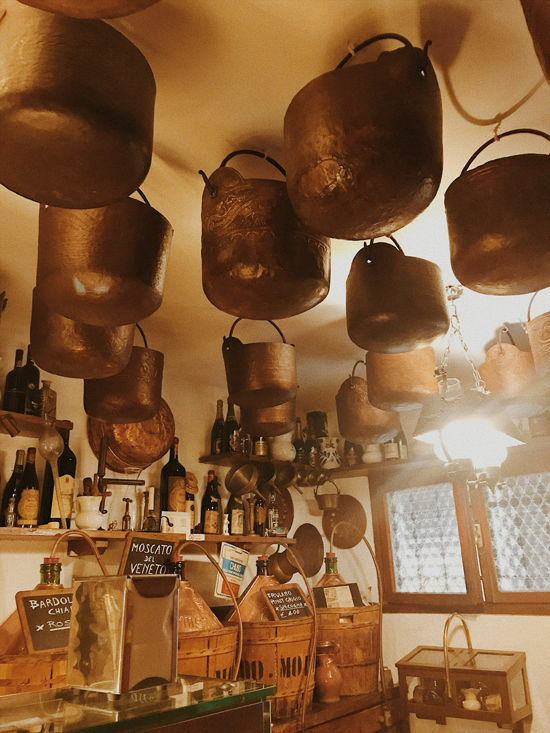 24. . suuuuper old place with brass pots hanging from the ceiling. 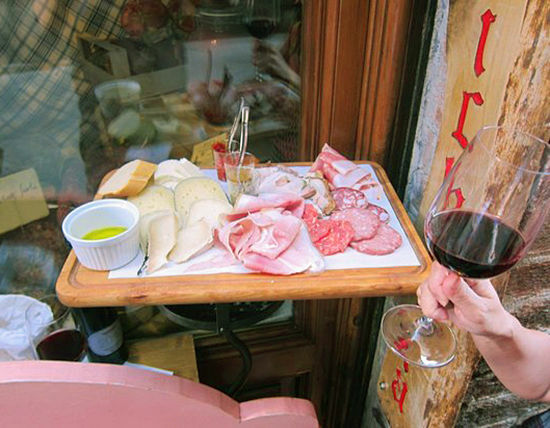 stop in for cicchetti (small snacks) and wine. 25. . def make a reservation here. and order the pumpkin flan and veggie lasagna, you will enjoy it. 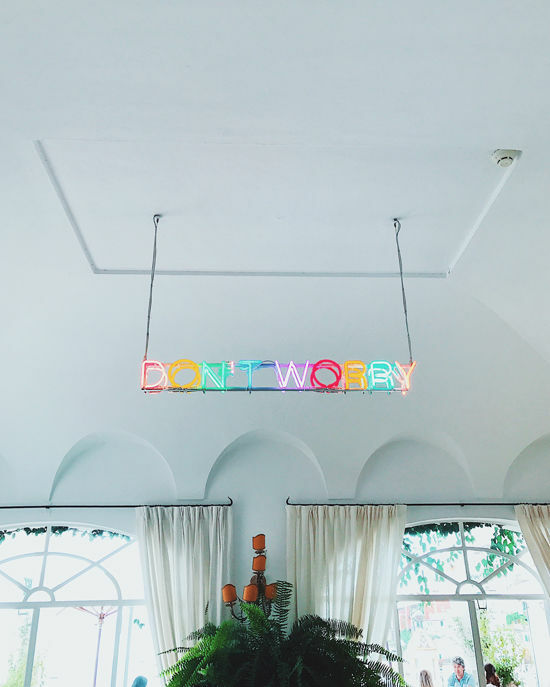 cute decor too! prob my fave in venice. for a longer trip like this i think it’s cool if you can switch it up between hotels and airbnbs. because having the service, and restaurant, and clean sheets in a hotel is so nice…but also the feeling that you are actually living in the city in an apartment is very important too. i suggest doing both. What an incredible trip. I have to say the bits that I liked the most from your post was when you said “this caused us to fight” or “I didn’t really like this as much as I wanted to.” To me, THAT is what everyone acts like doesn’t exists in vacations and it’s just not true. Going on trips can be so stressful, and you can do something you realize in the end you don’t like, but that’s part of what makes it special. 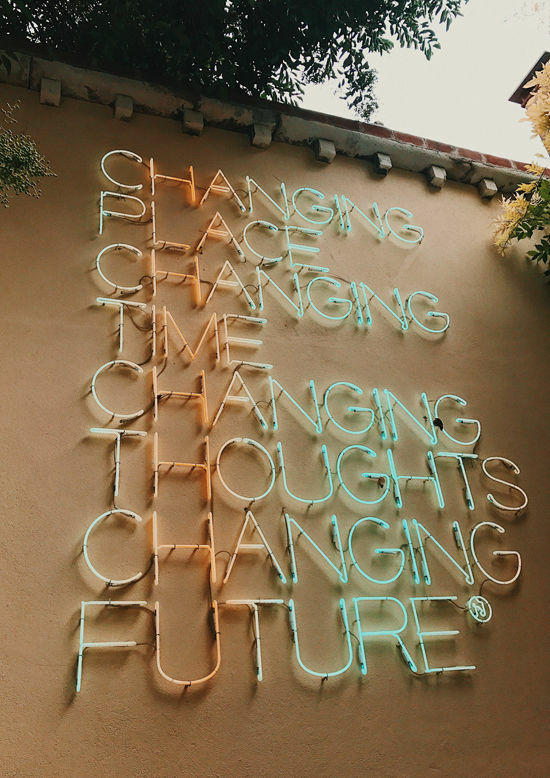 Gotta say I will always be a huge fan of your travel writing, and hope you keep making them. Always enjoy following you through your travels and most of all, your REAL thoughts, good or not! Esp delighted to run into you in Amsterdam. 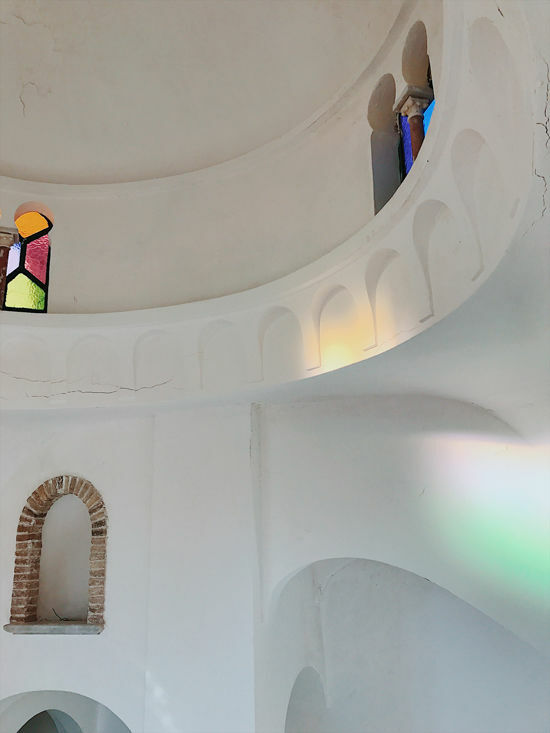 That dress you wore in Anacapri…please do tell! 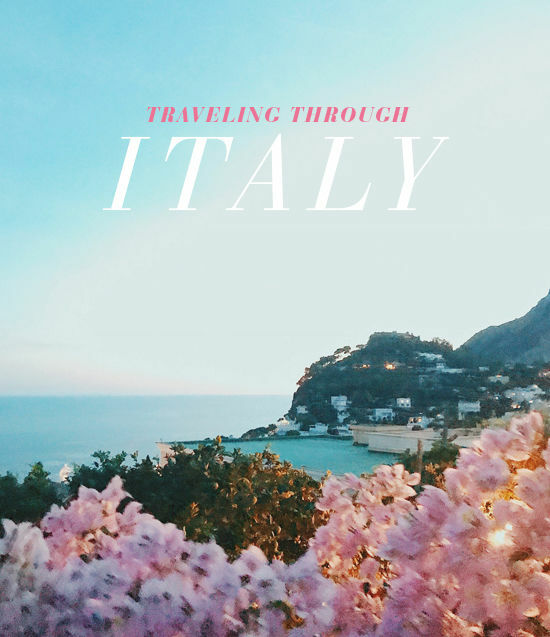 I’ve been dying to go to Italy and visit all the different places! Thank you so much for sharing all of yalls experiences! 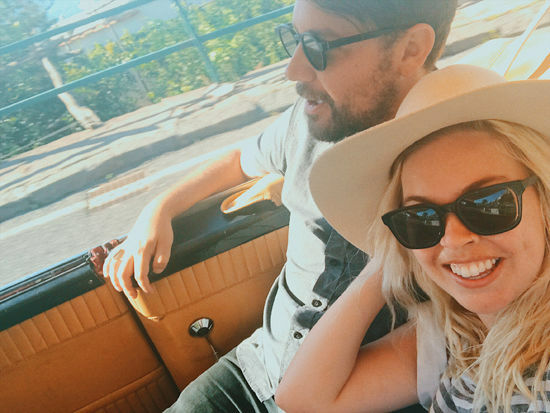 My husband and I definitely get fussy with each other when traveling and I love that you included those parts of what you did, didn’t like, and all the stresses that go into traveling. 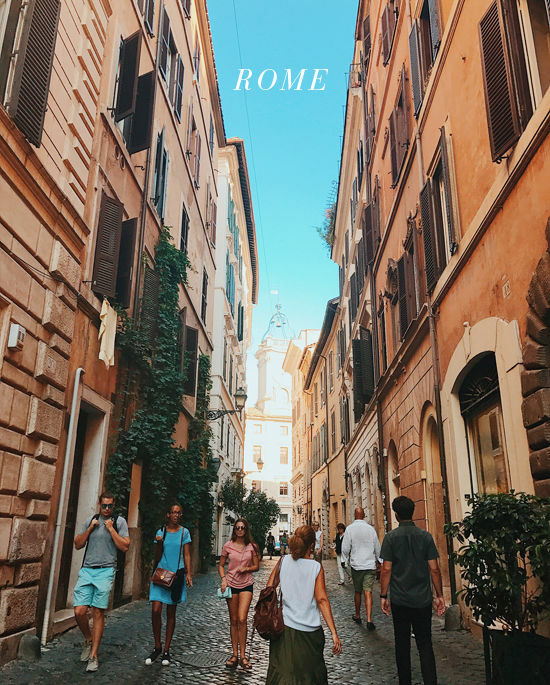 But I will definitely use this guide and your tips when planning a trip to Italy! This post takes me back. I need to plan a return trip asap. Can I ask where you stayed in Venice? It looks beautiful! The Guggenheim really is the most amazing collection of art, and I love that she is buried there (with her dogs)! Such an amazing trip! 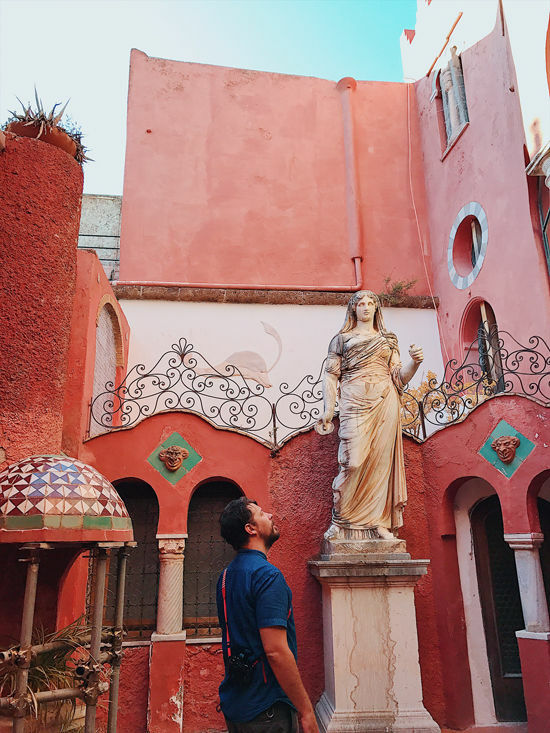 So lucky would love to go back to Italy and visit Positano and Florence, thanks for the tips and for sharing such beautiful inspiration photos! Your photos are always so extra and I love it!! Need to book an Italy trip now!! Lol, everytime my boyfriend and I go on vacation we always get annoyed with each other at some point because I’m hangry, or like this summer we were in Vancouver and I didn’t get off the bus in time so I had to ride to the next stop while he was waiting two blocks away, lol. We are so bad at public transit!!! But vacations are fun and worth it and seeing new things together is awesome. Amazing photos Bri! 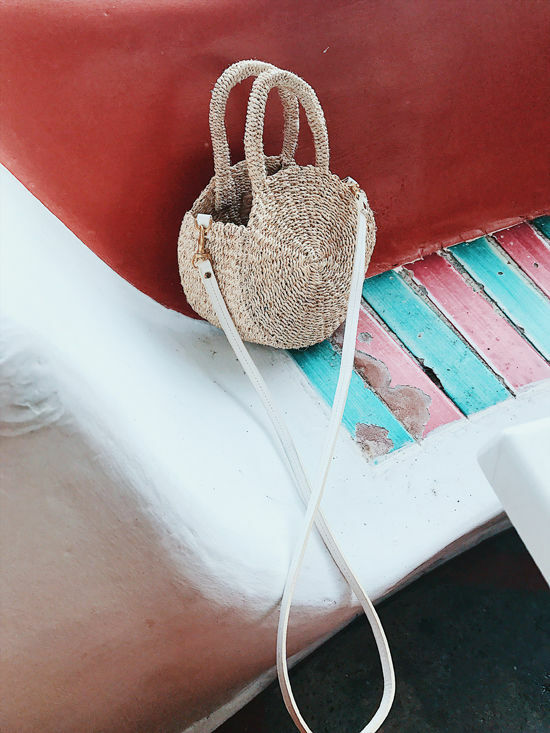 You always have the best eye for photos and the best style, please let us know where you got that insanely cute straw bag! eep, so pretty! 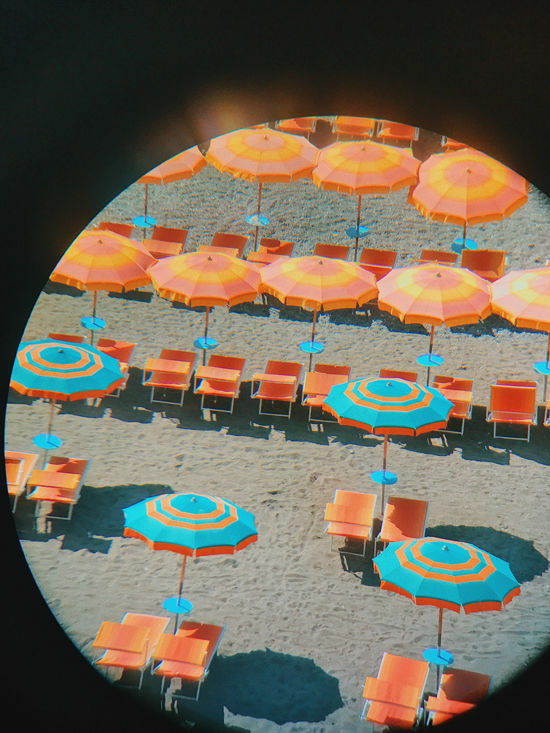 Your trip looks soooo good! I’m actually planning a trip to Italy next year with my cousin, she just graduated from high school and has never traveled to Europe. 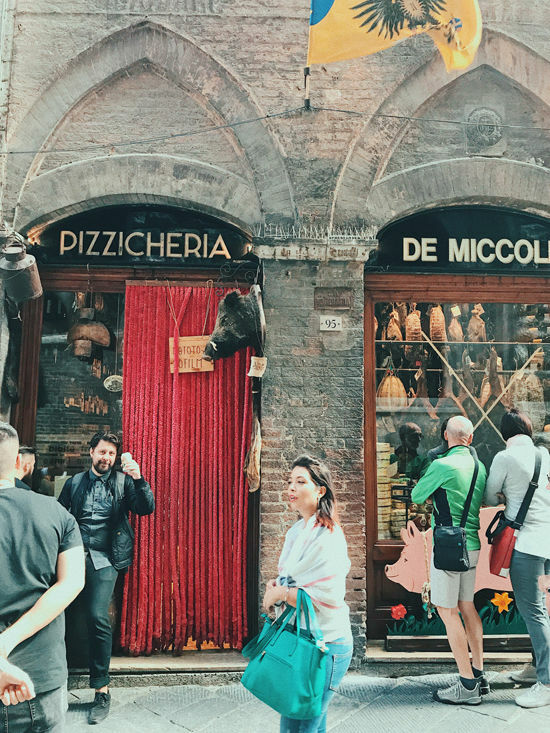 Planning a trip to Italy currently and this was just insanely helpful! 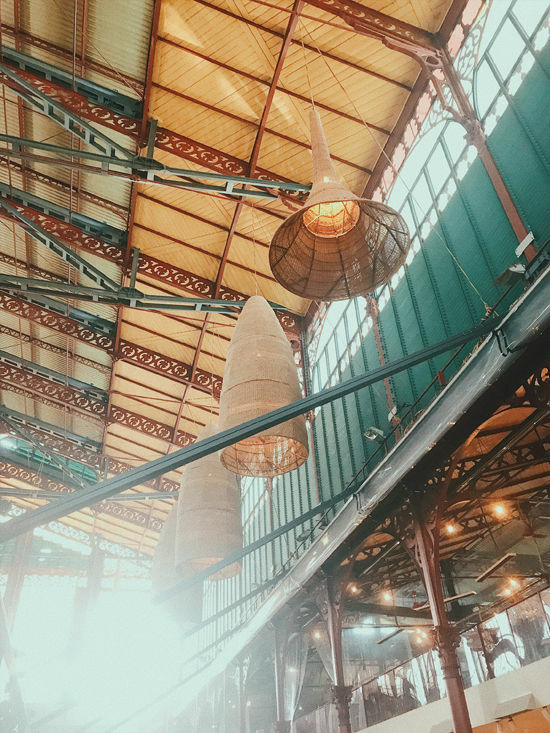 Loved your insight on what cities were your favorite and allllll the recs for food! One of our favorite journeys to virtually follow along with, for sure! this is amazing, i loved following along on your timeline of events–your insight is so great! 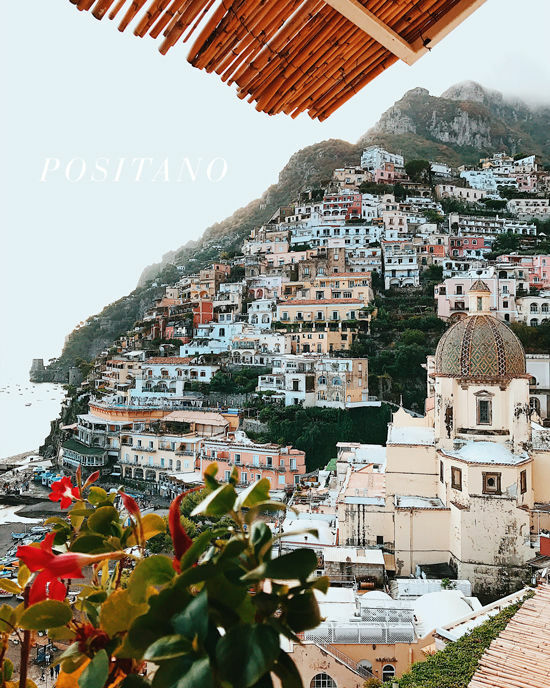 We went to the Amalfi Coast for a friend’s wedding and like you, I fell in love with Positano – such a charming place! Bri, not sure if you’ve mentioned this in previous travel posts, but how do you find navigating language barriers, especially in less touristy areas? Definitely a bucket list trip for me! Thank you so much for all of the wonderful info and details!! I love how honest you are! Looks like such an amazing trip! I’m headed there in December, and this is all very helpful. I saw on your IG stories that you did a cooking class. Would you mind sharing info on that? Would love to do that. This trip looks it was amaze. I’ll be doing an abbreviated version in Spring 2018: Florence, Venice and Rome. I was curious… did you have to buy tickets in advance for Peggy’s museum or did you just walk up and purchase them in person? I’m in Florence now and went to the David my first day- I booked tickets on the official website (ending in .it not .com or anything else!) for the opening time at 8:15. Then that morning you go to the ticket office to pick them up and walk on in! It’s not tourist season anymore so it was EMPTY when we went and everyone was taking solo shots with the statue. Hope this helps!! 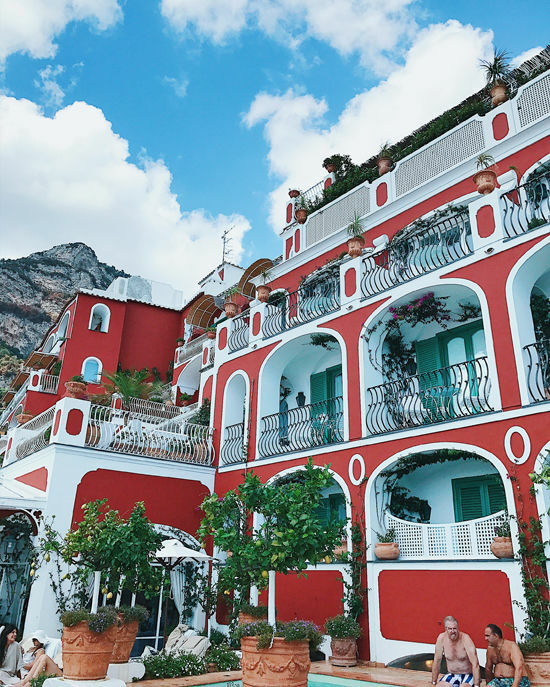 Where did you stay in Positano and Capri? ?